In sports, a playbook is a dynamic document that outline’s the team’s strategies and schemes throughout the duration of a game, and is then practiced over and over again. When you think of a playbook, you might think of a football team whose coaches refer to this book religiously. And so when they’re confronted with certain scenarios and situations, they can respond accordingly. It serves as a helpful guide so teams can make smart, coordinated decisions – even under pressure. 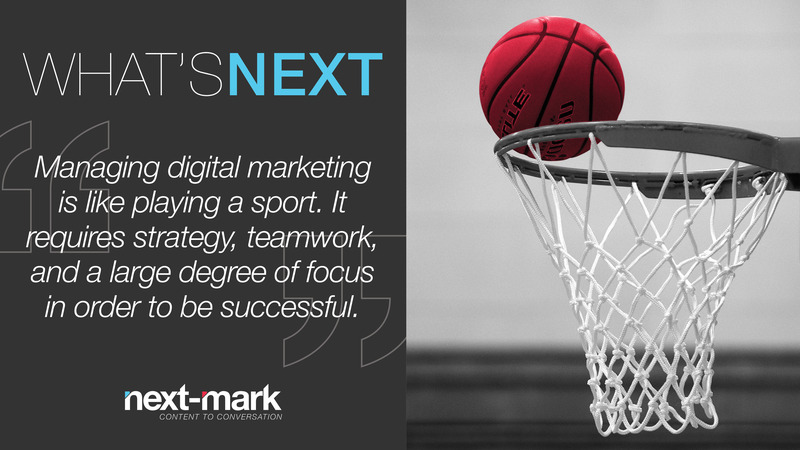 If you think about it, managing the digital marketing initiatives for your brand is like playing a sport. It requires strategy, teamwork, and a large degree of focus in order to be successful. So there’s no reason why you shouldn’t have a marketing playbook that can help you navigate the fast-paced world of digital and to ensure you harness the right tools and strategies to meet your brands objectives. This playbook should contain your goals, strategies and tactics that you can deploy for different situations. So what are five essential components of your brands digital marketing playbook? Gone are the days when websites were simply “nice-to-have.” If your customers cannot find you and get what they need from your website, then you haven’t taken advantage of having an online presence and you better catch up – and you better do it fast. Your digital marketing playbook should outline a specific plan for your website; from how you convert visitors into qualified leads, to the protocols in place when introducing a new campaign or making changes to your brands look and feel. Your playbook should also summarize the specific KPI’s you are measuring for your site and how you plan to achieve your web-related goals. Although related to web, this is such an important component of digital marketing it deserves its own category – and it’s something that requires constant attention. SEO today is not about attracting as many visitors to your site as possible, but more about attracting high value traffic that is genuinely interested in what you have to offer. Your digital marketing playbook needs to specify who you are targeting through keywords, an overall plan for developing external links to your site, how you plan to measure your SEO efforts, and your ongoing content strategy for providing focused, high quality content to your visitors. Using Facebook, Twitter and Instagram to reach your audience? Great! You should be. However, for some social media can be overwhelming, but with the right strategy, content plan and platform management, your brand can reap great benefits. Your digital playbook should include a strategy that aligns with your overall brand objectives as well as your plan for meeting your social media specific goals. What is your brands personality? How do you want it to be portrayed on social platforms? Rolling out a new campaign? How will you integrate social media and utilize cross channel promotion? How much do you want to spend on Facebook Ads? These are all questions you should be answering within your digital marketing playbook in the section on social media. Online Advertising can be a very effective lower cost solution that allows you to target specific customers based on their location and behavior. If you plan on utilizing pay-per-click advertising and search engine marketing tactics as a part of your digital marketing strategy, your playbook should answer how much you want to spend on online advertising, who you are targeting, what you want your creative to look like, what specific landing pages are you driving traffic to and how will you measure the effectiveness of these initiatives. Email marketing is alive and well. It remains a great way to cultivate existing relationships with your customers as well as engage new prospects. Thus, it should still remain an important component of your digital marketing playbook. This section on your playbook should outline your key strategies for delivering fresh content to your existing loyal customers, and your prospects. It should answer the following questions: how frequently are you sending out emails? What type of subject lines and pre-headers seem to receive the best open rates? Do all of my emails contain a clear, concise call to action? Is my design clean and congruent with current branding? How am I measuring the results? It’s easy to get overwhelmed with all of the avenues and ways you can market your brand online. Remember this: you don’t need to do everything. What’s more important than being everywhere at once is that your digital marketing efforts are done properly and efficiently. Continue to refer back to your playbook and you’ll be able to take advantage of the digital marketing tactics that are best suited for the growth of your brand.